Siegfried (Siggi) Meissner is president of Nabors International Management. 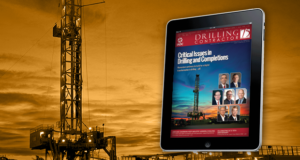 DC: What are the critical issues the contract drilling industry is facing, and how is Nabors meeting those challenges? Meissner: The challenge, first of all, is to keep your rigs employed. The market is very competitive, and the challenge is to be better than your competition. DC: How good a job is the industry doing in keeping rigs employed? Meissner: What we see internationally is the oil price has been steady in the high $70s and $80s, and I think the confidence is coming back in the international markets. We have a lot more bidding activity. We think we have bottomed out on the land rigs, and things are looking up. 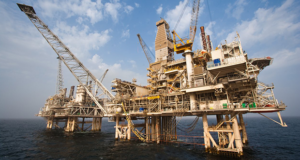 In Saudi Arabia, where Nabors is active, the company employs Saudi nationals as rig managers who are “well respected,” said Nabors International Management president Siggi Meissner. 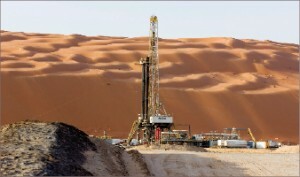 Above, the company’s Rig 607 drills for Saudi Aramco. The offshore market, because of the higher price of the jackups, is still more impacted. It will come back slower than the land rigs. It is mainly driven by oil, but international markets also have an additional driver for the gas drilling. We see activity increases in both markets. DC: What areas are you seeing increased activity or new activity? Meissner: The hot spots that I see coming back in 2010 are Russia, Middle East, North Africa, Mexico, and I think Iraq is going to have a play. International projects can have lead times. You may have to build a rig, and it might take nine months before you see real activity, so it might be 2011. To mobilize a new rig can easily take six to nine months of mobilization time. DC: Are you seeing any new construction activity that is aimed to begin in 2010? Meissner: Not yet, plus there is idle equipment, so I think the first focus is to get the equipment back into employment. That is the number one priority. As a drilling contractor, one of our main businesses is to optimize and upgrade or remodel the rigs to make them customer-specific. We do that all the time. Also, it’s not always economic, but sometimes it’s better to build from scratch. It depends on the project and what is required. From our perspective, all of the rigs that we put out are like new. They are high-performance rigs. You just can’t come with a rig that doesn’t have good-quality equipment. It has to meet requirements such as hydraulic horsepower, good controls, etc, to compete in the market. We can only compete on the basis that we have rigs that can go the extra mile. DC: Are you developing any new equipment or new applications for existing equipment to get above the competition? Meissner: The trick is how you package the rig and how you staff the rig. We have in house several concepts of how to make a rig more efficient. The top drive is a big element. We have a software called Rockit that helps the directional driller optimize the orientation of the drilling tool and reduce nonproductive time. We have had great success saving money for the customer with this. 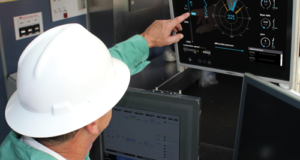 We have automation on the rig, which is primarily a tool for safety, but also it provides consistent production. The workers have PLC technology and touchscreens, so you have better controls than just using a brake handle. All of that together gives you a better rate of penetration. If you drill faster, you save for your customer. DC: Have there been other requests from operators for new technologies or solutions to help them save money? Meissner: The customer always has a target for the number of days to finish a well. We benchmark ourselves to beat that curve. In house, we have real-time reporting to benchmark. At any given time, I can see if we are ahead of the curve. 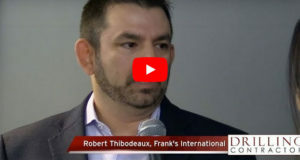 If not, we can discuss how we can improve the process, we can talk to the customer so we can optimize the process in the field. DC: Coiled-tubing rigs are used in Canada with good results. Do you see this equipment moving more internationally? 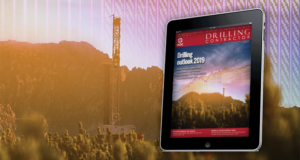 Nabors sees an increasing demand for coiled-tubing drilling units internationally for well re-entries and predicts growing opportunities for CT units in 2010 and 2011. Meissner: We see an increasing demand for coiled-tubing for well re-entries, and we are looking at that market right now. We don’t have coiled-tubing rigs internationally presently, but there definitely are opportunities in 2010 and 2011. Coiled-tubing is on its way in for sure. Most of Nabors’ coiled-tubing rigs are in Canada and the US, and we have tried a few in Mexico. Some places in the Middle East are doing re-entries, so we are obviously applying the knowledge that we have in Canada. You see a lot more coiled-tubing on the workover side. 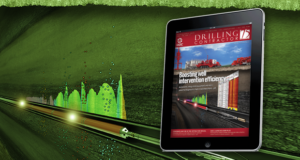 On the drilling side, directional drilling, we see increased demand. DC: Staffing has always been a thorn in the side, no matter what cycle the industry is in. I assume that’s still the case. Is it difficult to find and hire qualified people? Meissner: When you go back 15 years, all of the supervisors were from one country, maybe the US or Canada, and then we had national crews. When you go to an international rig today, you easily have six, seven or eight different nationalities working there. We place a lot of emphasis on working the national crews, so the content of expats is very small, sometimes only two to three people per rig, and the majority are nationals. That requires extensive training. But it also puts the challenge onto the supervisors because, instead of having people who speak the same language and have the same cultural background, they have to deal with people from different countries, different food on the rig, etc. It creates a completely different environment. It’s a challenge for our supervisors. These are the kinds of things that make it very complex to have a good team. DC: Have you had difficulties melding cultures on rigs? Meissner: It takes a lot of time, and it takes coaching. We do this through training and awards with our people if the rig is working well. We started 10-12 years ago to focus on that. In Saudi Arabia, for example, we are very proud to have Saudi nationals as rig managers. They are very well respected. And it solves other issues for us. They know how to handle the rest of the crew, security issues are minimized, a lot of other things fall into place. We also maintain our own training center to train nationals in various places. DC: Any other issues on the land rig side? Meissner: I fully believe in communication. Today, every rig has satellite communications. That means we are totally connected so we can immediately help if anything is happening on the rig. We can transmit pictures through dial-in features, we can put the best technicians in contact to help the rigs. But because we are centralizing the whole rig business into someone’s office, that can burden our people on the rigs with a lot of extra administration. A lot more people wanting a lot more information. If you are not careful, you will see your rig managers, mechanics and electricians spending a lot of time on a computer. That is different than what we used to do 10-15 years ago. That’s a concern I have. I fully promote and am in favor of the connectivity, but there is a balance. By balance, I mean whatever new systems you apply that they are user friendly. The target is that you make life easier so you want to give the rig crew access to information and help. In return, we can access performance data that we can use for other projects. We can compare rigs, how they are performing with rigs in the Middle East. I think that is what the system is all about. 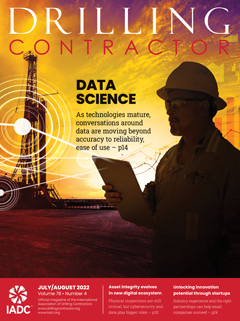 DC: For a long time, operators have turned to drilling contractors and service companies to develop new technologies, new applications to existing technologies. Are they looking more to the service companies these days? Meissner: It varies by customer, but in general we are participating on the tender process, which is very specific what the customer wants. They want 1,500 horsepower, three pumps, and you comply with that. 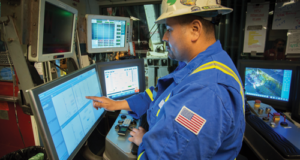 Where the technology comes in, what a company like Nabors does, is we add certain things to the rig where we say, in addition, Nabors can offer this, and make our offer more attractive. That’s where technology comes into play, offering technology that has not been requested in the tender itself. DC: Something like that you would throw in free? Meissner: We don’t like free, obviously, but sometimes it’s something you would throw in because you want the job. Maybe there is additional work to get. Normally you would ask for compensation, perhaps based on performance. If you promise to deliver something better, you can optimize operations and reduce costs. DC: Has the nature of the business changed over the past few years? Meissner: I think the only thing that has changed onshore when it comes to customers is, we have a different customer base today. 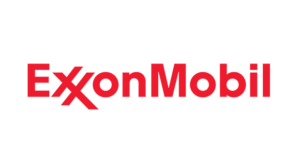 Traditionally we work for state oil companies and independents. In the past two years we’ve seen integrated service projects. Some of the big service companies are coming to us asking for drilling rigs. The service companies have the contract, they provide project management and all their products, but most of them don’t have their own rigs. So they come to us. The issue we have is that those contracts typically are performance-based contracts. 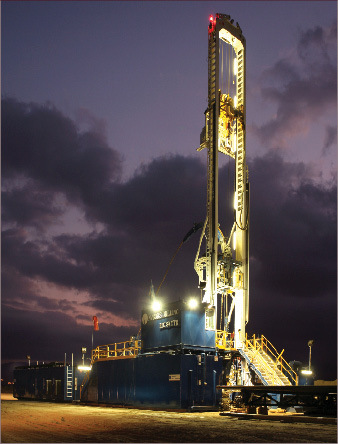 Naturally, the drilling rig is supposed to come into their model as the low-cost drilling provider. That’s a model we don’t like, of course. From our viewpoint, the only way that we can survive these contracts is we commit to performance and get the earnings that we are looking for through performance. It’s a change. It could be a modified footage contract. It comes down to drilling in a shorter time than you anticipate, and that’s where you get the better economics. 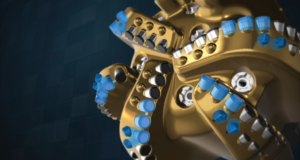 You optimize the drilling process. DC: Are these contracts becoming more prevalent? Meissner: There are quite a few of them. 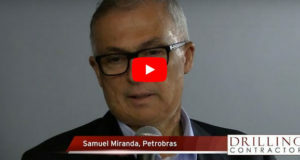 Some of the state oil companies, PEMEX is a good example, and even recently Saudi Aramco, are trying this model. We definitely have seen an increase in those kinds of activities. At Nabors, we are actually working toward taking the lead in these projects so we are not subcontractors. In some areas we are confident that we can take the lead, we have the capacity to take the lead and become the project manager ourselves. We could hire our own rigs, and we have several in-house products that we could link into the project, and then we would hire the other services as needed. 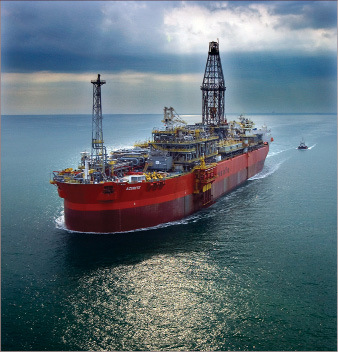 Nabors’ platform rig Rig 804 is operating from Murphy’s Azurite floating drilling, production, storage and offloading (FDPSO) vessel off the coast of Congo. DC: Let’s turn to the offshore segment. 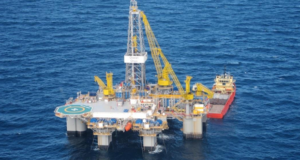 What are some of the issues and solutions in the international offshore drilling arena? Meissner: We don’t consider ourselves a major player in the international jackup markets. We have jackups in the Middle East, Saudi Arabia and Qatar that we purchased and rebuilt because our customers came to us looking for rigs, and we provided them. Because of our relationship with our customers, we saw the opportunity and we got into the business, and it’s been a good business for us. We started with jackups in 1999. We bought some jackups, refurbished them, rebuilt them to a different style, applied new technology and put them back on the market. DC: What about your platform rig business? 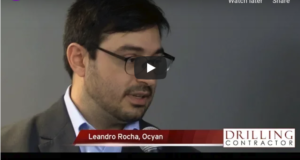 Are there new opportunities in addition to fixed platforms or spars, TLPs or other production systems? Meissner: We are the leader in the modular platform rig market, which we operate on a global basis. We have rigs in the Far East, India, Mexico and the US Gulf that can move rapidly and efficiently because of their design. In West Africa, we have a modular platform rig installed on a production tanker, and it has a moon pool. We put the rig on the deck of the tanker, and we drill and produce using the same vessel. It is another thing that we have developed together with the customer. It is the only one in the world. We are trying to keep an edge over the competition. I would like to work with Nabors Drilling Co. I am Abdul Khader Sinan and I’m Ex employee for KCA Deutag Drilling & Parker Drilling CO and I was Sr. Warehouse Supervisor. Kindly consider me as one asset to Nabors Drilling Co and to join you as soon as possible. I would like to work with Nabors Drilling Co. I am shibusilforian and I’m Ex employee for poolarabia Drilling CO and I was eletrical Kindly consider me as one asset to Nabors Drilling Co and to join you as soon as possible.